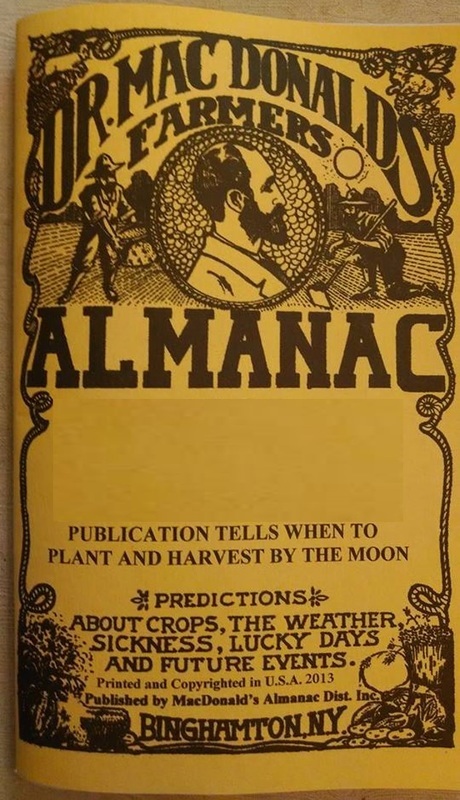 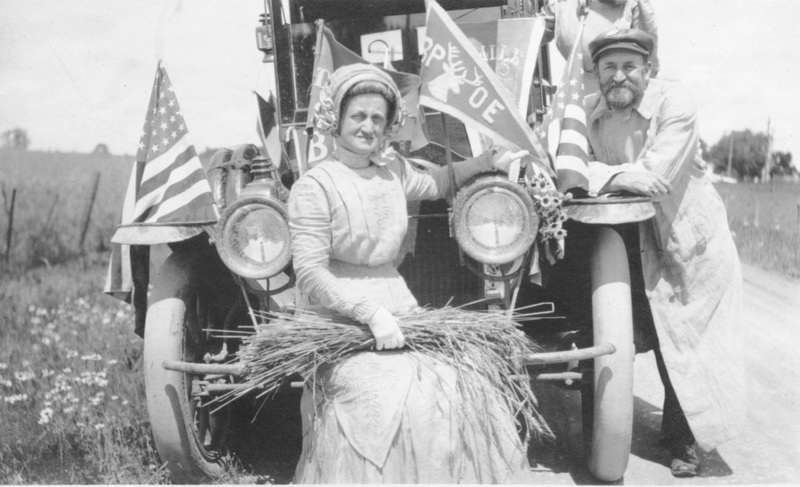 After over 100 years of publication, we thought our readers might want a historical refresher on the origin and evolution of MacDonald's Farmer's Almanac. MacDonald's Farmer's Almanac was created in 1897 by Dr. Jeremiah MacDonald to serve as an advertising medium for his patented herbal medicines, Dr. MacDonald's Atlas Compound. Which he sold locally and around the world, through the mail. 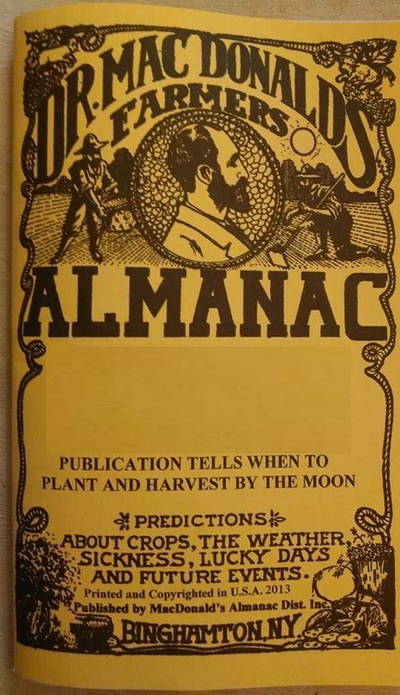 Almanacs began as pharmaceutical trade journals, in which patent medicines containing alcohol and potent narcotics such as opium(laudanum) and cocaine, often were marketed as "wonder drugs" or panaceas that could cure anything. Certainly, the opium killed pain while the cocaine made people feel refreshed and powerful, but much of their financial success probably resulted from the patient's addictions to these drugs. 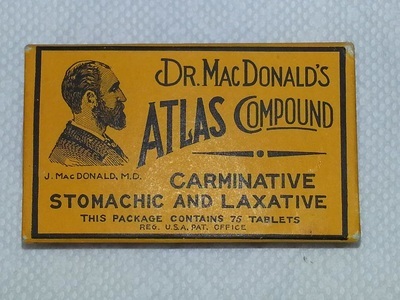 In contrast, Atlas Compound has been studied by independent researchers to have contained none of these addictive and dangerous narcotics. 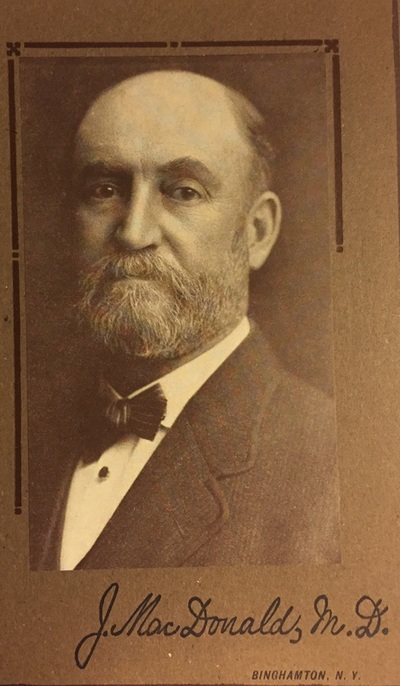 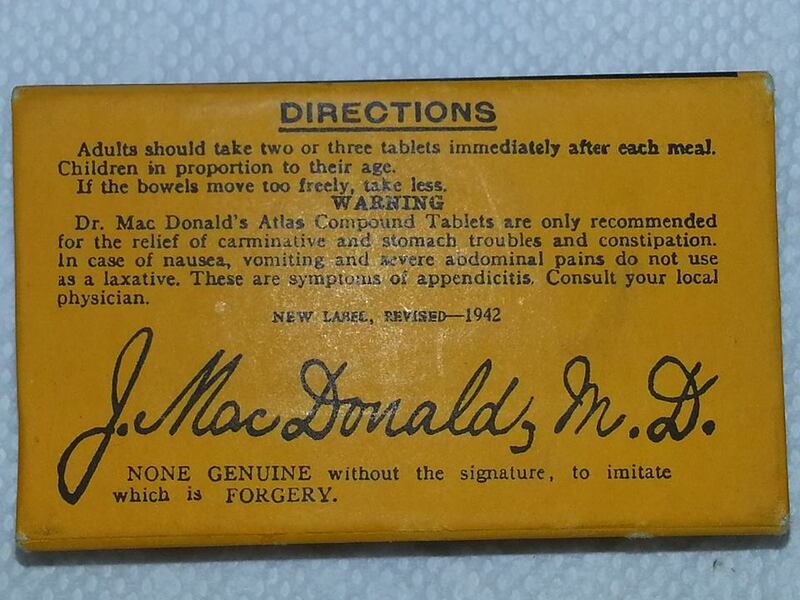 Rather, Dr. MacDonald's prescription consisted of a mixture of herbs that possessed tonic and purgative properties, such as aloe, gentian, ipecac, ginger, and sodium bicarbonate. 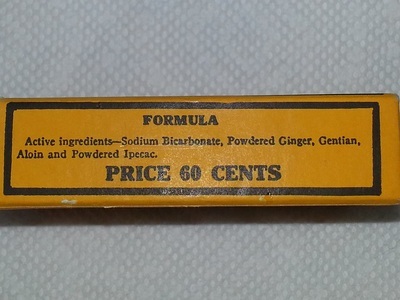 This herbal formula was consistent with Dr. MacDonald's fundamental view of health, that many illnesses could be remedied by a periodic "purging" or cleansing of the body's digestive system. 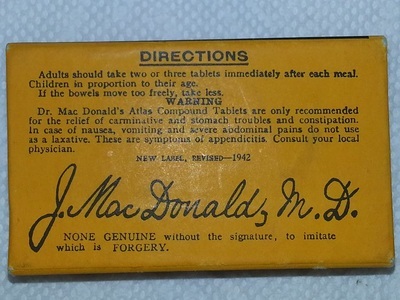 Dr. MacDonald would offer a complimentary diagnosis to each buyer, based on their letter reports of symptoms, and would send a customized prescription for each patient. 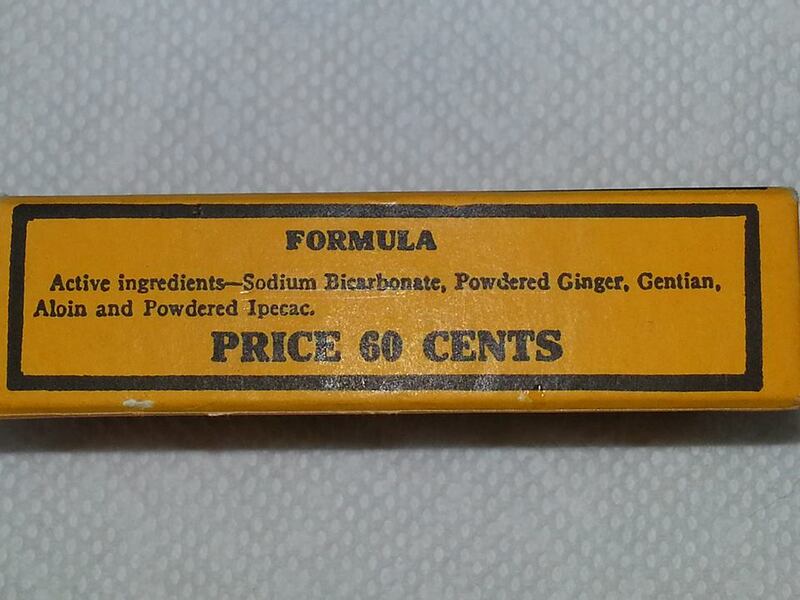 Mail-order patent medicines were banned in 1904 with the passing of the Pure Food and Drug Act in the US. 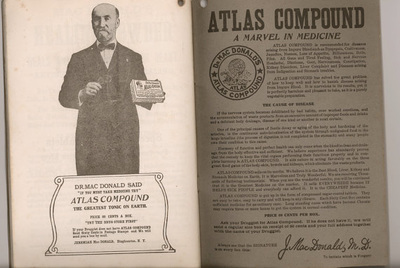 Due in part to the impurity and false curative claims of some medicines, the use of dangerous ingredients in others, and the widespread addiction that many medicines were causing. 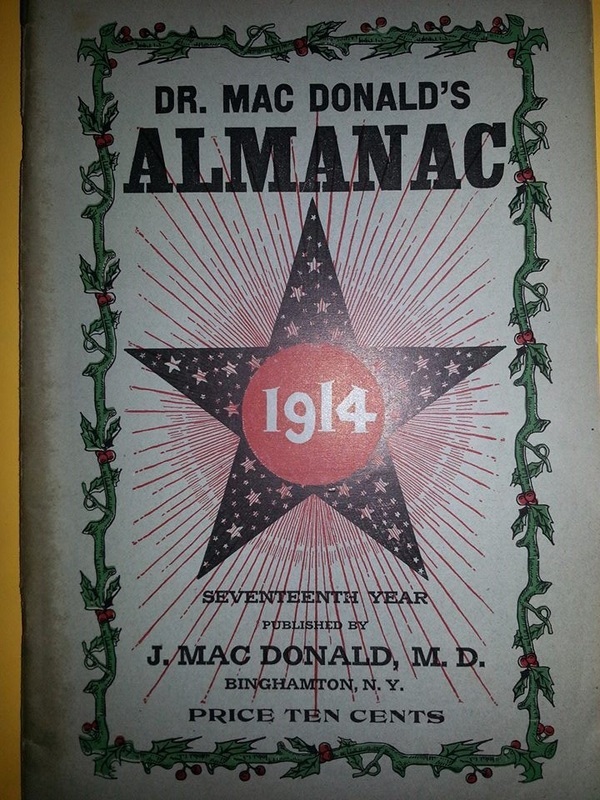 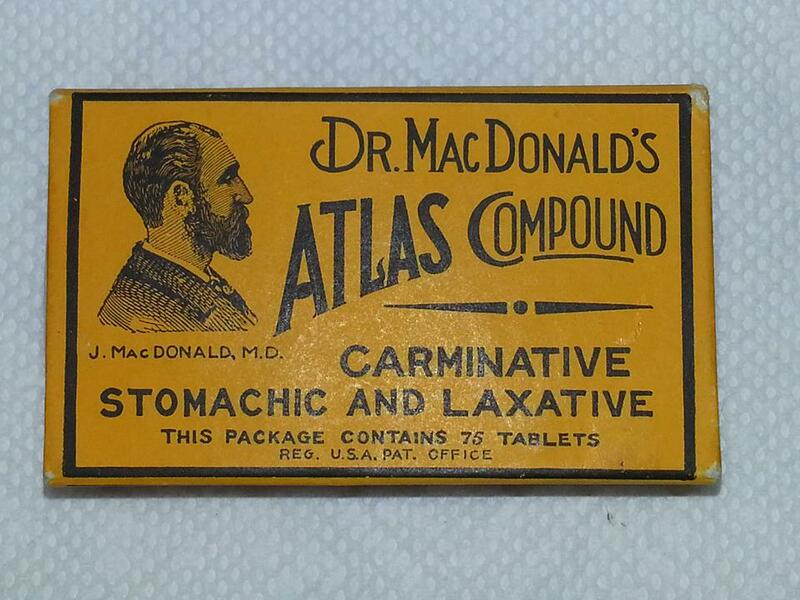 Since that time, Dr. MacDonald's business has been limited to publishing the almanac and his astrological Dream Book. 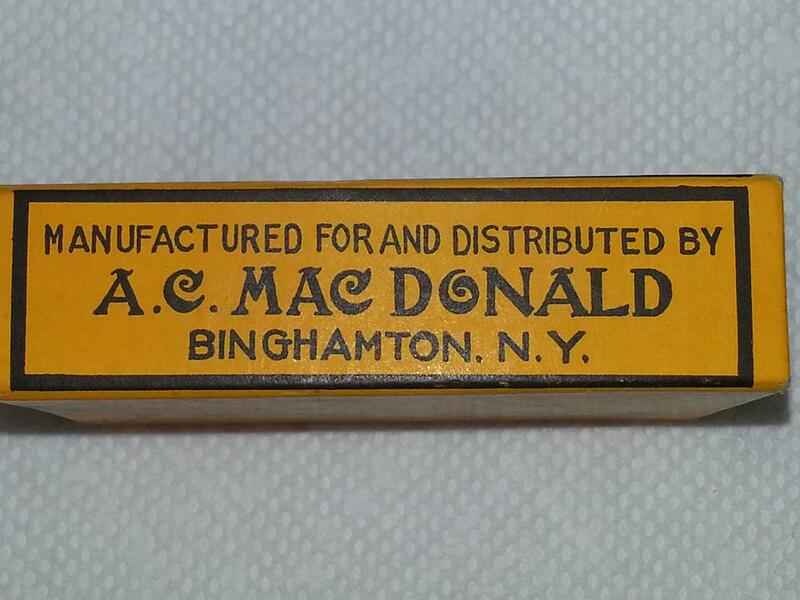 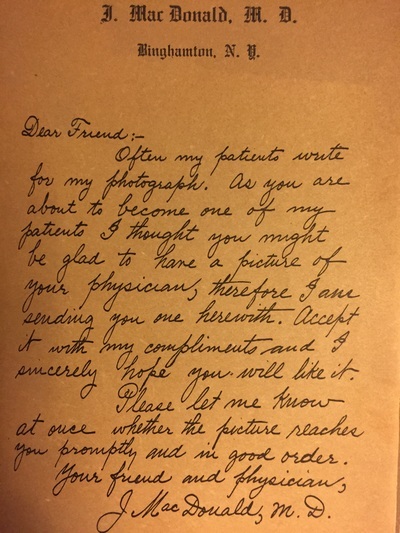 It has been since passed down through four generations of the MacDonald and Rury families, through the marriage of our publisher, Franklin Rury, to Dr. MacDonald's grand-daughter, the late Marion MacDonald Rury. 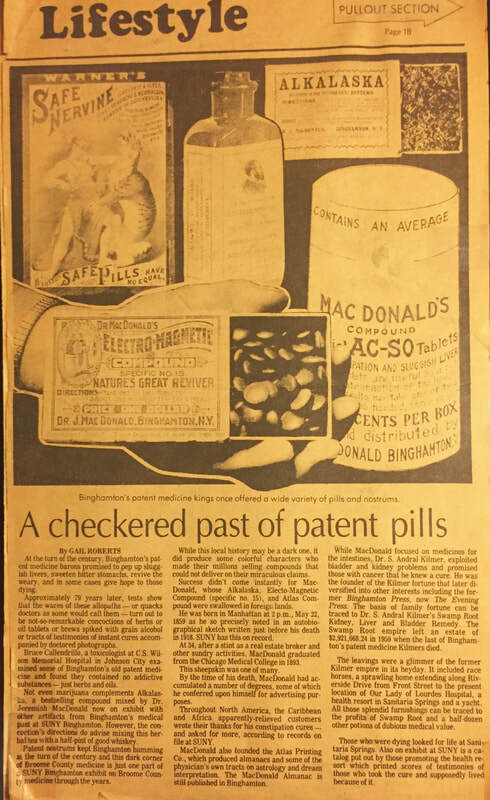 In the spirit of Dr. MacDonald's life quest to provide safe, natural medicines for his patients and sound advice to his farming clientele, we remain committed to providing our readers with timely information on new developments in agriculture and ecology. 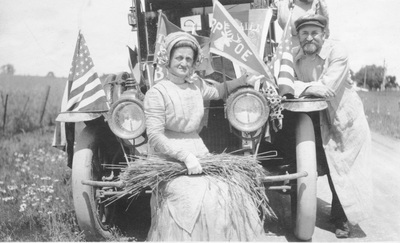 We are proud to say that we are still a small, and family owned business, who hope to carry on this publishing tradition for centuries to come.